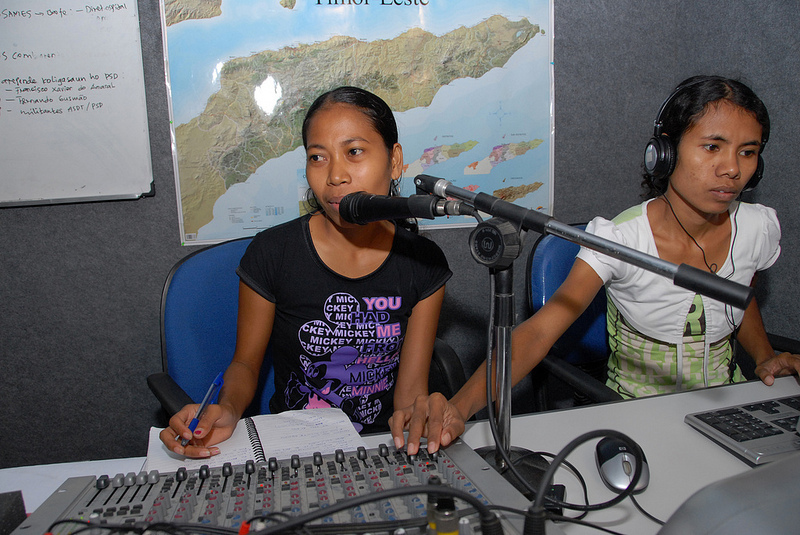 East Timor journalists and human rights groups are opposing a government-proposed media law which they believe would lead to possible media censorship and repression in the country. The draft legislation was approved by the Council of Ministers last August, but was introduced in the Parliament just two weeks ago. The Press Law aims to ensure the freedom of the press while at the same time promoting the necessary balance between the exercise of that freedom and other fundamental rights and values contained in the Constitution. Its purpose is primarily to regulate the activity of professionals adequately prepared and ethically responsible, so that they can inform the public objectively and impartially and encourage active and enlightened citizenship by the population, thus contributing to a democratic society. As freedom of expression is already guaranteed by the Constitution, no Press Council is needed to regulate it. A Council of commercial media organizations and paid journalists can self-regulate their business, including with their Code of Ethics, but their processes cannot be imposed on everyone and should not involve the state, either through financial support or legal enforcement. Furthermore, no journalist should be required to join an organization in order to practice his or her Constitutional rights. This law should respect every person’s right to free expression, including students, bloggers, web-posters, civil society organizations, free-lancers, part-time reporters, discussion groups, churches, political parties, columnists, researchers, community groups and ordinary people. It should not be monopolized or controlled by for-profit media. Timor-Leste has already gone for more than a decade without a Media Law, and we have not had problems with media and information. During this time, Timorese people enjoyed their right to information and freedom of expression through various media, after nearly five hundred years of repression and censorship. Therefore, we conclude that this Media Law violates Timor-Leste Constitution Articles 40 and 41 about people’s rights and freedom to seek, collect, choose, analyze and disseminate information, as words and/or images, to everyone. We want the law to reflect the realities of the modern media and to obey international standards. What we see in these laws is gives an impression that they intend to regulate the press rather than protect the rights of East Timorese journalists. The proposed Timor-Leste media law is a draconian mixed bag. And it is ironical that such a document with lofty claims of protecting the freedom of the press should be shrouded in secrecy for the past six months. Alarming is the attempt to lock in the status and definition of journalists, effectively barring independent and freelance journalism and leaving the registration of journalists entirely to the whim of commercial media organisations. It would not have worked in any kind of democracy in the days of low-tech newspapers and media publishing. But in these days of digital media, citizen journalism and diversity of critical information online it is tantamount to censorship – the very thing the draft law states opposition to. Any legislation that would limit the capacity of local and international journalists reporting on East Timor, also limits the public’s right to know and is of great concern to the IFJ. We urge the government to ensure those reservations and perspectives are taken seriously and incorporated into the draft media law. In response, the government vowed to consider all comments of media organizations before further deliberating on the draft proposal.